Training to become a Pharmacy Technician can take from 12 to 24 months and can be quite expensive. Understanding the Grants, Scholarships and Financial Aid available can help ease the financial burden of Pharmacy Technician training. Read on to learn about Federal and Private Grants and Loans which are available to assist in financing your Pharmacy Technician education. Federal Pell Grants are only available to Undergraduate students and are based on financial need and the cost of tuition. Those with bachelor’s or graduate or professional degrees are not qualified to apply for a Pell Grant. Pell grants do not need to be repaid and in the 2018-2019 school year, the maximum available Pell grant is $6095. The Federal Supplemental Educational Opportunity Grant (FSEOG) can be applied for by submitting the Free Application for Federal Student Aid (FAFSA). The FSEOG assists those undergraduate students with low incomes and the amount of financial aid available is dependent on financial need. The FSEOG award received can vary from $100 to $4000 and depends on the amounts of other financial aid rceived and the amount of grant money available at your particular school. 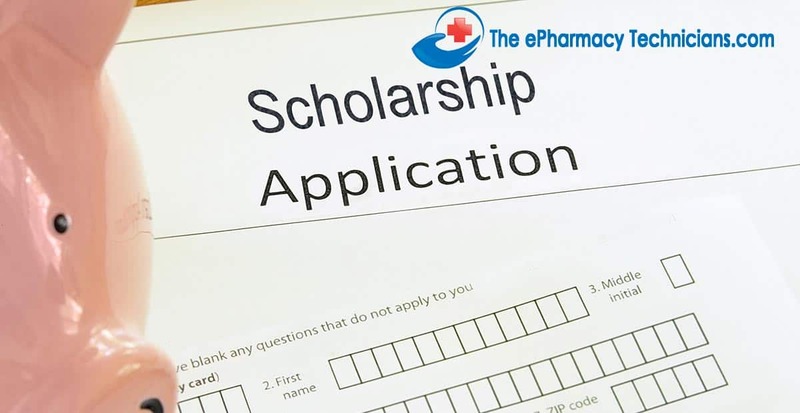 The American Pharmacists Association Foundation Scholarship Program offers 10 $1000 scholarships to students studying to become Pharmacy Technician students (https://www.pharmacist.com/student-pharmacists-join-apha-asp-today). First year undergraduate students who are dependent on their parents for support, except those students whose parent’s are unable to obtain a PLUS loan, can obtain a limit of $5500 in loans with no more than $3500 of this amount being in subsidized loans. First year Undergraduate Independent Students and Dependent Undergraduate students whose parents are unable to obtain PLUS loans students can obtain a limit of $9500 in loans with no more than $3500 of this amount in subsidized loans. Second year undergraduate students who are dependent on their parents for support, except those students whose parents are unable to obtain a PLUS loan, can obtain a limit of $5500 in loans with no more than $3500 of this amount being in subsidized loans. Second year Undergraduate Independent Students and Dependent Undergraduate students whose parents are unable to obtain PLUS loans students can obtain a limit of $10,500 in loans with no more than $4500 of this amount in subsidized loans. In order to be eligible for either a direct subsidized or direct unsubsidized loan, you must be enrolled at least half-time at a school that participates in in the Direct Loan Program. You also must usually be enrolled in a program that leads to a degree or certificate. Direct subsidized loans are only available to undergraduate students who have a financial need. Direct un-subsidized loans do not require a demonstration of financial need. Current interest rates for direct subsidized and unsubsidized loans is 5.05% as of January 23th, 2019. To apply for a Direct Loan, students are required to complete a Free Application for Federal Student Aid (FAFSA) form. This form will allow your school to determine the amount of student aid you will be eligible to receive. Once you have been approved for a direct subsidized or un-subsidized loan, you will be required to sign a “master promissory note” in which you agree to the terms of your loan. Your school will first apply the proceeds of your Direct loan to your school account to pay for your tuition, books and room and board if applicable. Any additional funds from your loan will be refunded to you. How Do you Pay Back Your Loan? Your loan will have to be paid back after a six month grace period either after you graduate or if you drop below half time enrollment. Plus loans are Federal loans available to dependent undergraduate students through the United States Department of Education who do not have a poor credit history and who meet the eligibility requirements for Federal Student Aid. Financing your Pharmacy Technician training can be accomplished through Federal Grants and Loans and Private Scholarships. Filling out the FAFSA student aid application will allow you to take advantage of all available financial aid. This can help ease the burden of financing your Pharmacy Technician training and ensuring a lasting, lucrative and fulfilling career as a Pharmacy Technician.